PST file is one of the most widely used file formats being used by Microsoft Outlook mail client. All these files can be used to manage users personal information in Outlook application. It enables to store all the data items like emails, contacts, calendars, etc. Sometimes we need to save multiple Outlook emails as MSG file. Thus, one such solution to resolve this issue is using third party tool like SysTools PST Viewer Pro Plus. In this review page, we will be discussing about the same in details. The PST Reader Pro Plus is an efficient tool that can allow users to read and view multiple PST files. This software is also capable to recover corrupted or damaged .pst files. Even it can help to export PST items into different file formats such as EML, MSG and PDF. It is a reliable tool that provides some unique features like date based filters and files naming convention. The application offers the facility to search for messages with or without attachments and also use the criteria to improve the process. Additionally, without having MS Outlook installed users can easily open and save multiple Outlook emails as MSG. Operating System : All editions of Windows (32 and 64-bit) including Windows 10. Open and view all mails, contacts, etc., in a selective PST file along with every metadata filed. Users can add one or more PST files of any size (ANSI format or Unicode) separately and view them easily. Along with this, it provides different email view options like Normal Email, Hex View, Properties View, MIME View, Message Header, HTML View, RTF View, and Attachments View. An advanced algorithm integrated within PST Viewer Pro Plus makes it capable to recover data from corrupted PST file. With the help of this utility, a corrupt PST file can be retrieved and then, displayed successfully. The restored and viewed PST items can further be transferred into many file types (EML, MSG and PDF). The application provides a search feature that enables users to search for emails with or without any attachments and the criteria is also available to enhance the process to save multiple Outlook emails as MSG. Further, users can also export and clear all search results. Besides this, this PST Viewer Pro Plus software also offers the splitting option that will help to break PST file into smaller parts. When moving emails users can also apply naming pattern, i.e. a common naming convention for keeping files together. Though this Naming Convention feature will be applicable only for email files, like EML, MSG, and PDF format. This tool is supportive towards all MS Outlook versions i.e., Outlook 2013 and below versions and is capable to save multiple Outlook emails as MSG. Another impressive feature that comes with Outlook PST Opener Pro+ is the Date based filter. Users can set a certain date range of “From” and “To” dates respectively and the application will only convert an email that falls under a particular range. This will become an effective way to save time. There are some positive and negative aspects of every technical task. The PST Viewer Pro Plus tool has no exception. The positive aspect is users can view and save multiple Outlook PST file without any size limit. One can easily export PST items into different file formats i.e., EML, MSG, PDF, PST. It provides date based filters on emails to transfer emails falling under the specific date range. The Outlook PST Reader Pro+ can add all types of PST files including ANSI or UNICODE. The negative aspect is it does not support Mac Operating system. 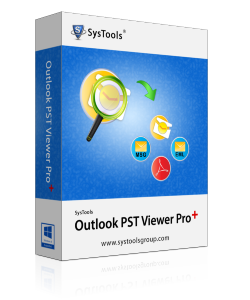 After considering both positive as well as negative aspects of the software, we can summarize that the PST Viewer Pro+ is a reliable tool that allows a user to save multiple Outlook emails as MSG file. The software is capable to recover the corrupted PST files in an efficient way. It can be rated as 9.8/10 as Mac systems are not supported. Regardless, we can say that PST Viewer Pro Plus is a reliable tool due to its great functionality.